These sure make working with licking a heckuva lot easier! It's worth the extra $$ to get these and save yourself some headaches! I have never used loc-line before and assumed the pliers were necessary for assembling the various pieces. After several minutes of trying to learn how to use the pliers I gave up and muscled the connections together. It took me less time than using the pliers and was easy to figure out. I would disagree with Milkman though. The pliers can be used to disassemble the joints. The handle portion can be used effectively to beat the pieces apart if you hit them hard enough. 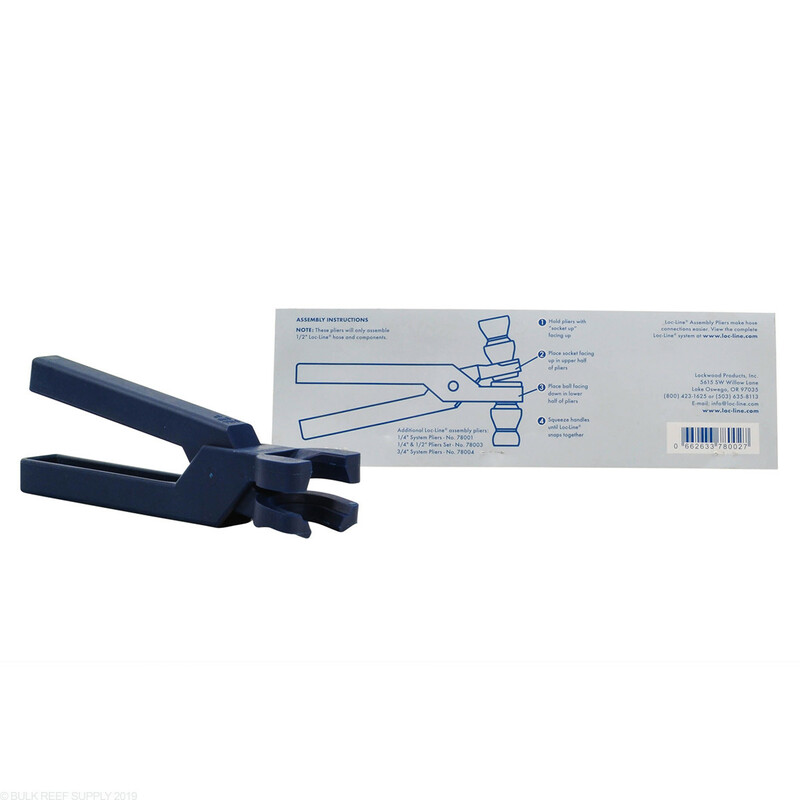 These pliers do the job, but require the user play with them and the Loc Line joints to gain proficiency. It unfortunately requires practice, and in my case, since I don't adjust my Loc Line THAT often, I'll probably be in somewhat of a practice mode each time I take them out. I would buy these again as it adds flexibility to what I can more easily do with my Loc Line setup, but this tool unfortunately does not make it as easy as I would have expected. I have to say I am not sure what problems people are having with this tool. It works great!! I am using it to connect loc-line bought from BRS and haven't had a problem yet. Of course they will not disassemble loc-line but that's not a big deal. If you have a good amount of loc-line to connect then you do not want to be without these. Another great product BRS!! 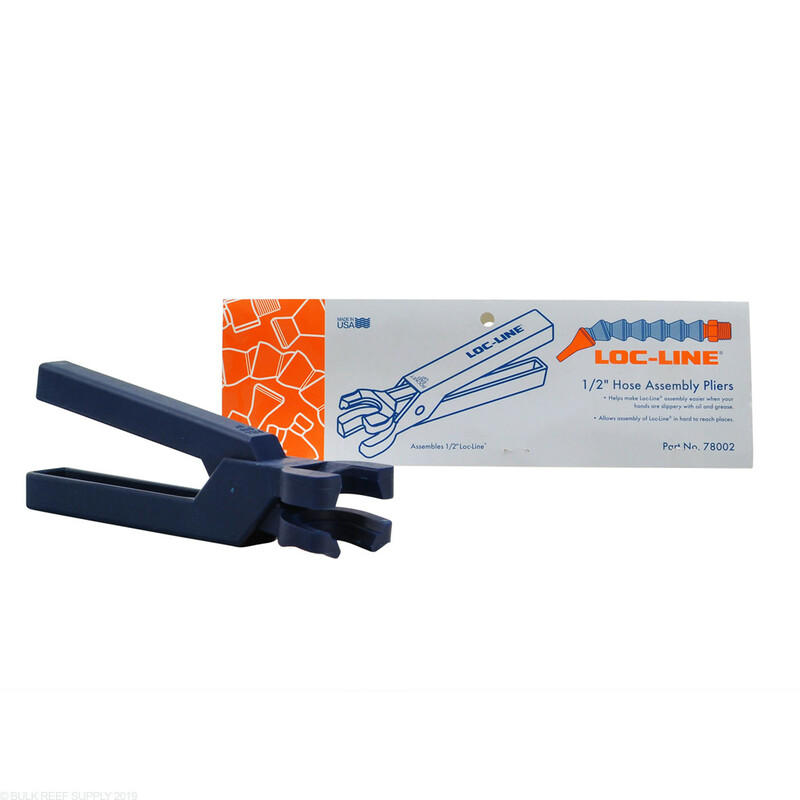 If you are looking to buy a tool to help you with locline... This isnt it. The pliers only aid in assembly not disassembly and thats the hardest part. I think BRS should stop selling these or put a note in description explaining this. Also if you buy them and you send them back you pay the return shipping so in a nutshell you will lose 3-4 dollars and still wont have a tool that helps with locline. Save your money DO NOT BUY!!!! I knew some other reviews trashed these pliers out, and initially I was disappointed with them. With a little patience and some practice, they worked very well. If you buy them, it takes about 5-10 minutes to become proficient. Also make sure the fittings are square to each other before compressing them. The tool does have some play/flex when forcing loc line together or apart, you just have to give it some extra muscle to accomplish your mission. No biggie, must have tool. I've honestly never used Loc-Line in the past but on my new tank build I'm incorporating it in several parts of the system. The tool helps guide and apply pressure to bring the fittings to bring them together but still requires some extra effort because the pliers want to flex a bit. Using it to take the Loc-Line apart was the same experience. A must have when working with Loc-Line but could use some design modifications. A must have when working with Loc-Line. I couldn't agree any more with the previous reviewer. Like him, I bought these pliers under the assumption that they make changing Loc-Line parts easier. They don't. Their only function is to attach the hose joints. They cannot be used to disassemble the hose joints, and will not work for attaching any other Loc-Line attachments, e.g., nozzles and NPT connectors. In my opinion, rather than using these pliers, it is easier to attach the hose joints using a solid floor and your body weight to push them together.